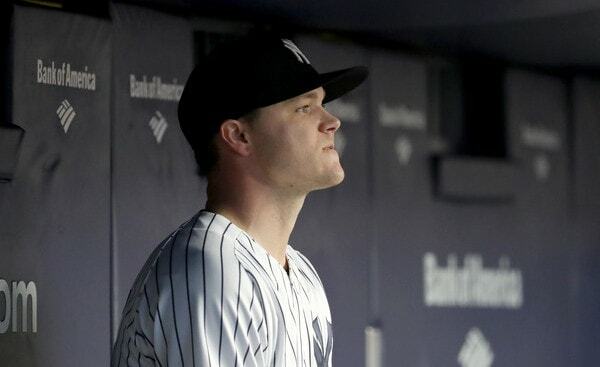 Friday: The Sonny Gray trade rumors continue to swirl. Earlier today we heard the Yankees are moving closer to a deal, and now, according to Ken Rosenthal, and Yankees and Reds are making progress on a trade that would send Gray to Cincinnati. There haven’t been any updates since Rosenthal’s report, which is pretty annoying! Earlier this winter it was reported the Yankees had interest in Reds outfielder and top prospect Taylor Trammell, and right-handers Tony Santillan, Vladimir Gutierrez, and Keury Mella. The Reds pursuing Gray passes the sniff test. They’ve been trading for veteran one-year rentals like Gray all winter (Matt Kemp, Yasiel Puig, Tanner Roark, Alex Wood), and their pitching coach, Derek Johnson, was Sonny’s pitching coach at Vanderbilt. There’s a connection already in place. Cincinnati has seemed like a potential landing spot all offseason. Getting Stephenson, Long, and a draft pick for Gray seems way too good to be true to me. It sounds more like those are the players (and pick) the Yankees have sought in their latest trade talks. Who knows whether the Reds are willing to give them up though. Maybe the Yankees can snag two of the three in a trade. That’d be pretty sweet. My quick math puts the Yankees’ luxury tax payroll at $228.5M following the Adam Ottavino deal. Trading Gray and his entire $7.5M salary would get them under the $226M second luxury tax tier. The Yankees have made it clear they want to trade Sonny. Now that just about every other piece of offseason business has been handled, they figure to get around to moving Gray. At the moment Gray has not been traded to the Reds. The two sides are only progressing toward a deal, as far as we know. Reds catcher Tucker Barnhart sent out a cryptic tweet this afternoon, so maybe the deal is done and we just don’t know it yet. Either way, hopefully this gets wrapped up soon. It’s been dragging on far too long already. Saturday: According to Heyman, the Yankees and Reds are getting closer to a trade but it’s not done yet (argh). They’re discussing two prospects and the draft pick for Gray. Cincinnati wants to keep Stephenson, so right now talks are centered around Long, the draft pick, and an unidentified second prospect. Intrigue! Sunday: The Yankees and Reds have agreed to the trade package but apparently Cincinnati is trying to sign Gray to a contract extension before finalizing the trade, report Heyman and Ken Rosenthal. The Yankees have to give the Reds permission to discuss an extension with Gray (duh) and if they do work out a deal, the Yankees could get more in return. Huh. Everyone root for an extension.